The Bay Fair BART station in San Leandro was closed Thursday night due to power issues, according to BART officials. directions, BART officials first said. An inspection train ran through the affected area and, around 10:25 p.m., BART officials said the inspection was complete. 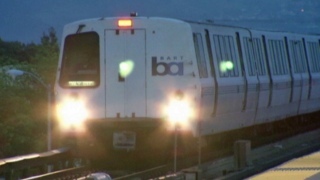 No damage was observed and BART said normal operations would resume with residual delays. It was not immediately clear if the power issues at the Bay Fair station were related the earlier substation fire near the Coliseum.